We got our first good look at the HTC U 11 back in mid-April, but as we approach HTC’s scheduled reveal date (May 16), we’re now getting to see it from a whole bunch of different angles. According to specs we’ve already posted, the U 11 is expected to launch with a 5.5″ QHD display, no headphone jack, Snapdragon 835 processor, 6GB RAM (possibly limited to select markets), Edge Sense (squeezy phone), 12MP rear-facing camera, BoomSound, IP57 rating, and Android Nougat. 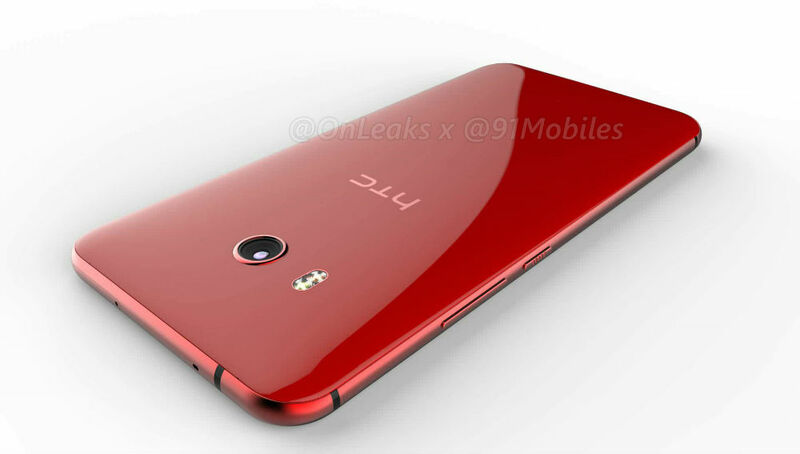 In this latest development, a video render of the U 11 in a metallic red is shown, detailing the lack of headphone jack and fingerprint reader on the front bottom chin of the phone. Besides that, we can see plenty of chin and bezel, something we especially note because we’ve been completely spoiled by the LG G6 and Galaxy S8. Take a look over the video and then share your thoughts below. Can this device compete against the best from LG and Samsung?